We like to think that we have seen it all during the 30 years we have been in the trade, but we believe there is always something that we have not seen that cab still amaze us. We have many stories from our past about the crazy things that we have seen. An example is heat pumps that are now boat anchors in the Gulf of Mexico after a storm, to riding lawn mower mishaps where they the lawn crew seemed to try to use the swimming pool heater as traction and wound up on top of the heat pump. Then there is the classic tree that fell on top of the heat pump and the heat pump locked in a small room turning the room into a meat locker because it is too cold in there. Then there was the truck driver who though it was a good idea to roll the heat pump down a hill (with no hand cart) to the delivery address on 2 different units destroying them. This was to help sick dolphins and in a cold tank and made everyone crazy. There are the hurricanes that pick up the heat pump and transport it to the land of OZ even when they are properly strapped down with hurricane straps. If Volkswagen Beatles are flying around then not much will hold a heat pump in one place. Anyway we had seen a lot. 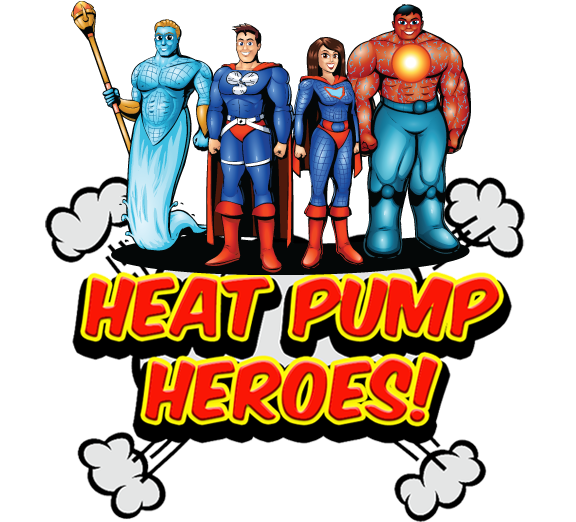 We are looking to post here pictures of your own pool heat pump mis-adventure. The one where the heat pump ended his working days with a Bang, but no humans were hurt during the filming.